Fairy was originally known as Martin's Gap. James Martin was a settler who took an oxcart through the mountain gap which (evidently) was a feat worthy of naming the place in his honor. It is somehow appropriate that there is little information available on Fairy Fort. Born the fifth child after four brothers - she was the daughter of Battle Fort - Mississippi native, lawyer, Confederate officer and Mississippi Governor. Little Fairy was one of the smallest Texans ever, although she enjoyed a relatively normal life. Her size didn't stop her from being married - and divorced. Twice. Her first husband was William Allen and husband number two was identified only as T. Phelps. Details of Fairy Fort's life are hard to locate, but her height was given by some to be 2' 7" and she weighed something like 28 pounds. We call on our readers to please correct these figures if possible. Photos or Daguerreotypes of Fairy certainly existed - but our research has yet to find any. Although Fairy's unusually small size might've made her famous in another time and place - to the folks in Hamilton County - Fairy's size was Fairy's business. Fairy didn't have children - but she lived into her 70s. She is buried in the Fairy cemetery. Fairy had a post office established in 1884 and a cotton gin dating from 1900. It had the normal assortment of schools, churches, and businesses typical of regional farming communities. 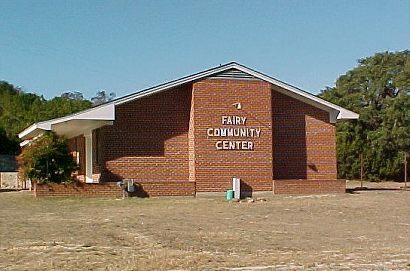 In 1947 Fairy had a population of 150. The post office closed in 1957, and the Fairy school consolidated with Hamilton schools in 1967. In both 1980 and 1990 the census was given as thirty-one. Thanks for making your information available to interested folks. The web is too often my only connection with Mother Texas, and I appreciate it. 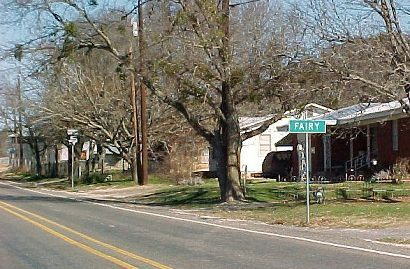 The James side of my family (my mother's side) had a connection with Fairy, Texas. Many of the younger children were born near Evant on the family farm, and attended elementary school there. When it came time for them to go to high school, they had a choice of Hamilton or Fairy. My mother, Ruth (James) Clemmer, chose Hamilton, for that's where my dad (Charley Wayne Clemmer) was born and lived. She graduated from Hamilton High School. My uncle A. E. James Jr. and my aunt Cleda James chose Fairy, and both graduated from Fairy High School. 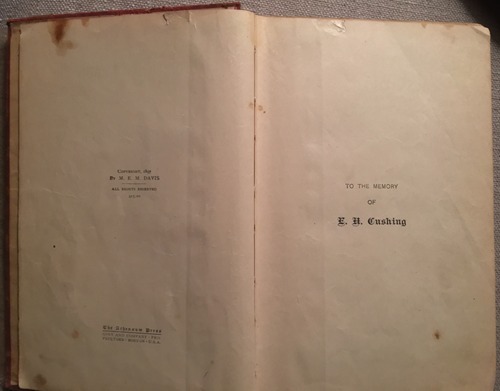 Mother was born in 1922, between A. E. and Cleda, so this must have been in the mid- to late 'thirties. Hello, I am sorting through book donations for an upcoming charity. 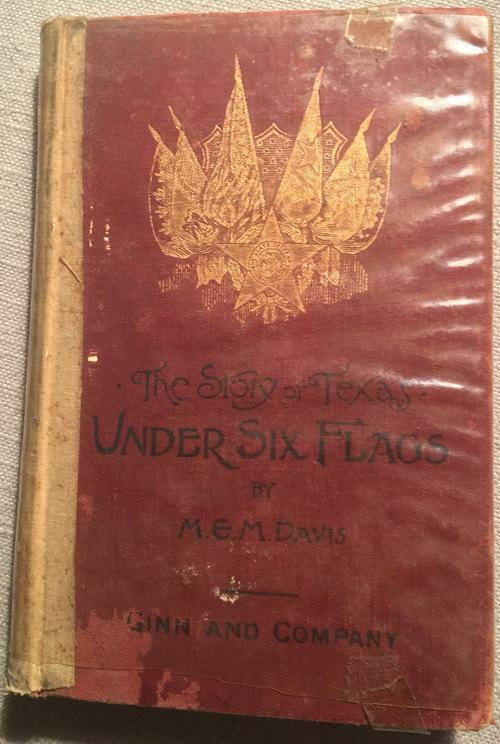 I came across this book published in 1897 called "Under Six Flags, the story of Texas" that is stamped with the Fairy High School stamp. I was curious about where Fairy and hoped to find an old photo of the school... so I googled it and that is how I got to know about this little town and its namesake and history. But, alas no photos. 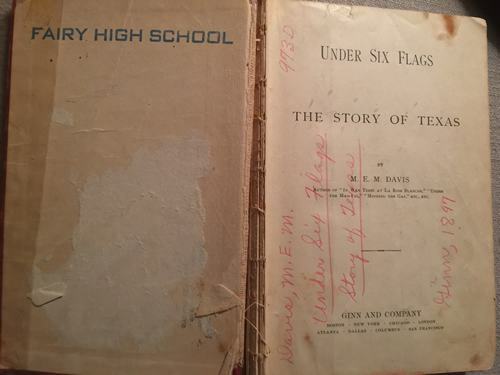 Fairy High School textbook "Under Six Flags, the story of Texas"